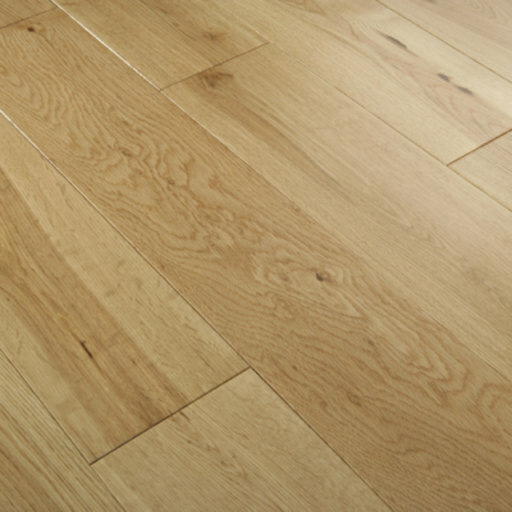 Tradition Engineered Oak Flooring, 190x6x20 mm is a hard-wearing oak flooring in rustic grade and lacquered finish providing quality and comfort. This Tradition Oak Flooring comes in simple design and clean look. It is suitable for both domestic and commercial areas due to its durability, stability and moisture resistance. Lacquered finish creates an incredible smooth surface and shiny look. It protects the wood against scratches, marks and liquid spills.